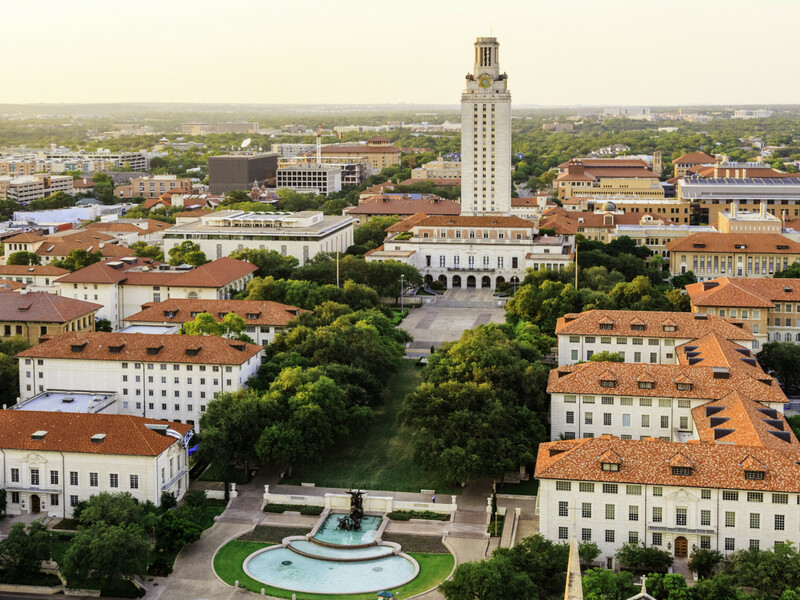 The University of Texas at Austin consistently ranks among the top colleges in the world, but a new report shows another Lone Star institution edging out UT. The focus of the annual list is "return on investment" — which university gives you the most bang for your buck. Factors such as student debt, graduation rates, student satisfaction, academic success, and career success were taken into consideration. According to Forbes, an education at Rice will cost a student about $56,316 annually. At this private Houston school, 75 percent of students receive financial aid. Notes Forbes, "60 percent of freshmen receive grants from the school averaging just over $31,000." The average price tag for UT Austin is $51,352 per year; 63 percent of students receive financial aid. Rice trumps UT on the research front, ranking No. 17 in the country. UT ranks No. 40 on Forbes' list of top research universities. Rice also has a better student-to-teacher ratio: 8-to-1 versus UT's 18-to-1. Longhorns shouldn't fret too much, as the Center for World University Rankings recently named UT the 30th best institution in the world. According to those rankings, UT is the No. 1 university in Texas and the No. 22 school in the nation. On that list, Rice University ranks No. 120 in the world. Other Texas schools that make the cut on Forbes' list are Trinity University (No. 100), Southern Methodist University (No. 108), Texas A&M (No. 150), Southwestern University (No. 194), and Baylor University (No. 197).